Technical faculty in Bor was established in the year 1961 as the Mining-metallurgical faculty with two departments – Mining and Metallurgy. The faculty belongs to the University of Belgrade, the oldest, the biggest and the most prestigeous state university in Serbia. Faculty building in the period of 1961 – the palace of old French cassino. In the autumn 1961 teaching classes started at the faculty at four departments: Mining at the Major for exploiting of mineral layers and the Major for preparation of minerals. At the Department of metallurgy classes were held at the Major for extractive metallurgy and the Major for processing metallurgy. In the year 1971 the faculty opened the Major for mechanical engineering in mining and metallurgy. By changes of the Faculty statute in 1977, the Major for mechanical engineering in mining and metallurgy was promoted into the Department for mechanical engineering with two majors – Mechanical engineering in mining and Mechanical engineering in metallurgy. In the same year the Faculty got a new permission for openning a new department – the Department for inorganic chemical technology. Such expanded activity of the faculty led to change of its name into Technical faculty in Bor. In 1985 the Faculty management stopped enrolling students in the Department for mechanical engineering, thus this department was completely stopped in 1992. In 2002 the Faculty opened several new departments – the Department for industrial management, Department for industrial information science and the Department for electro-mechanical engineering. In the year 2007 the enrolments in the Department for electro-mechanical engineering were completely stopped and in the year 2008 in the Department for industrial information science. In the year 2005 the reform of academic education was done in Serbia according to the principles of Bolonia declaration. By new law on academic education, the education load of students is defined as ECTS (European Credits Transfer System) and academic studies were classified into three levels: Basic, Graduate-master and Doctoral. In 2008 the Faculty applied for accreditation for academic study programmes (curriculums):Mining engineering, Metallurgical engineering, Technological engineering and Engineering management. All the curriculums are adjusted with the Bologna declaration. 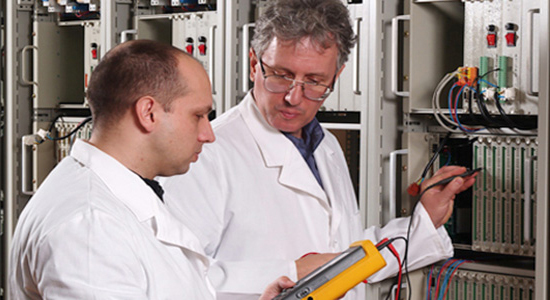 In 2007 the Faculty was accredited as a scientific-research organisation in the area of technical-technological science. Postgraduate studies have been maintained at this faculty since academic year 1974/75 as specialist, master and doctoral studies. So far 1804 students graduated at this faculty, besides 18 students completed specialist studies, 122 master studies and 70 students defended doctoral theses. 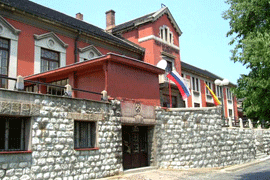 At foundation the faculty was located in the building of the mentioned French cassino. After some years several new buildings were cbuilt, thus today the faculty premises have available over 6000 m².